Enter Coupon Code WINTER125 at checkout. 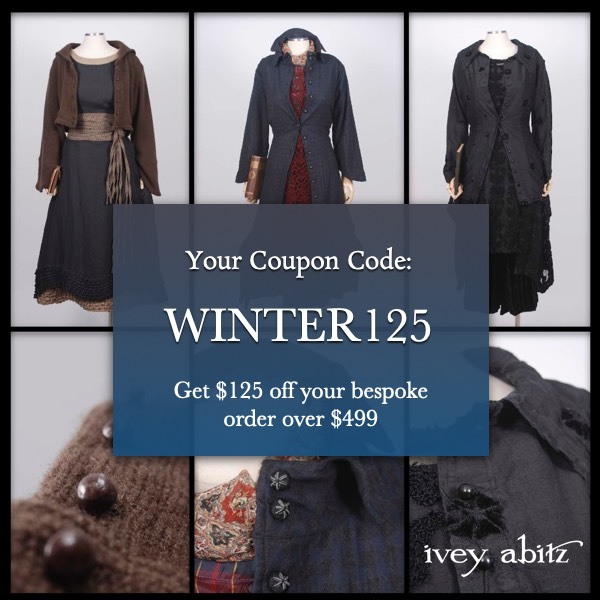 *This is a one-time use coupon for bespoke clothing orders of $499 or more and expires at the end of Sunday, January 13, 2019, midnight EST. Offer may not be redeemed for cash. Applies to a single (one) new bespoke clothing order between 1/10/19-1/13/19. Not applicable to previous or future orders.